I told myself I wasn’t going to partake in the hunger games-like spectacle that is most new/online product launches when this palette came out, but multiple (multiple) windows and tabs opened up between three different web browsers over a 60-minute time span for checkout and here we are. 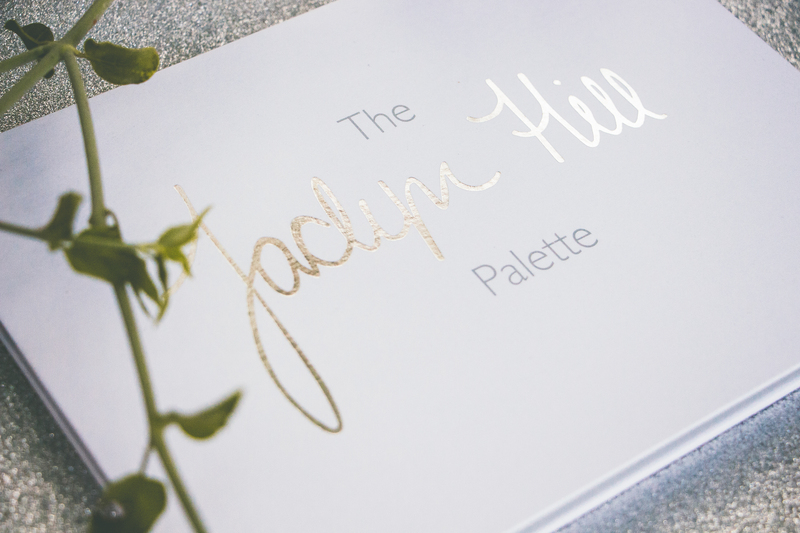 So just for a little background — Jaclyn Hill was the first beauty channel I ever came across on YouTube. It was about three years ago. This is basically what opened up my world to the whole “artistry” side of cosmetics. 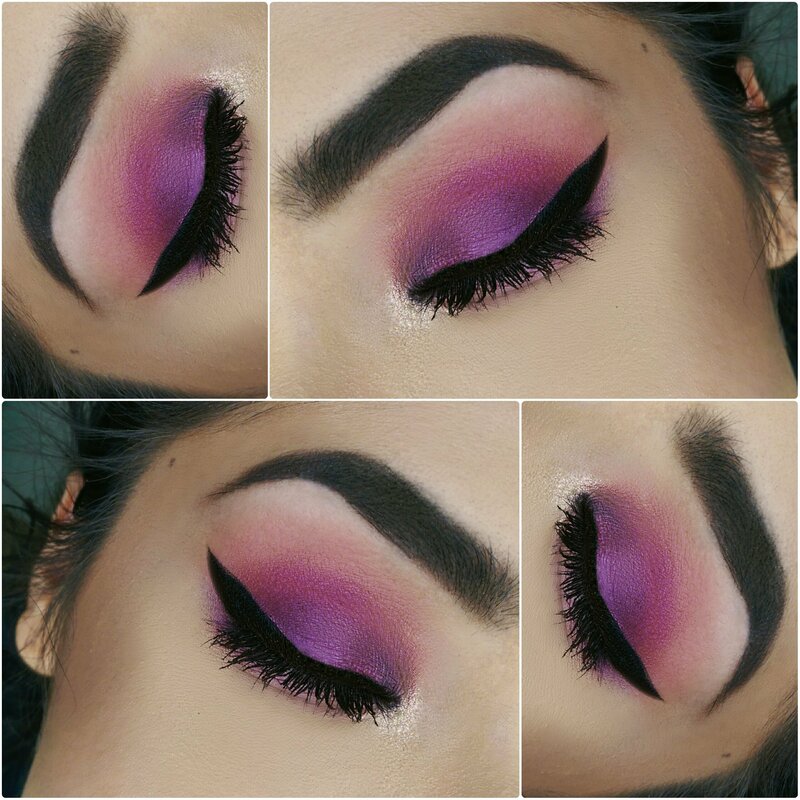 I have always loved playing with makeup, but I had no idea the online beauty community even existed before then. 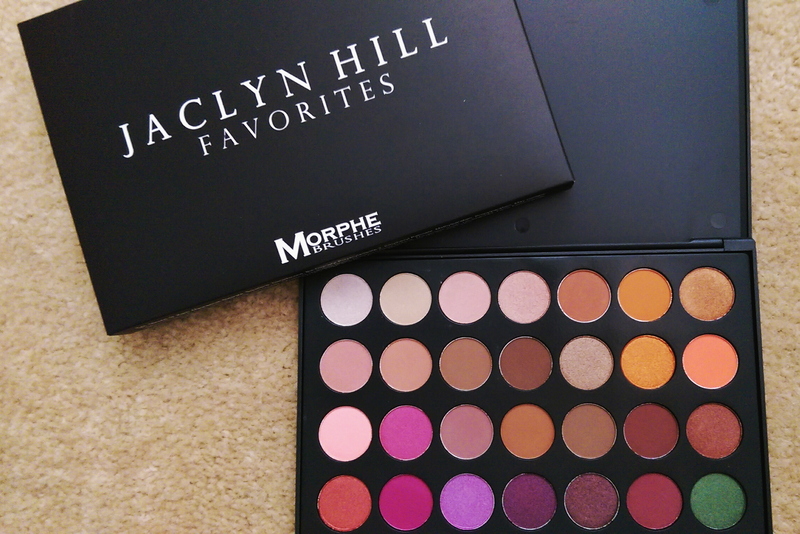 Morphe is one of the first independent brands I start purchasing from online, and I’m always happy with the products I choose. Because of these things primarily, I’ve personally felt compelled (thus far) to get my hands on both collaborations produced by the duo. I have very fast and decent-working computer equipment at work, which is where I was at 8AM when this guy became available on the Morphe site and we weren’t particularly busy that day (thank you, universe). I have three different web browsers so I opened roughly 6-8 different windows, some incognito and some regular, and got the site ready to go on each of them. I made sure I had my PayPal login info saved on each browser too, just to make sure I didn’t run into anything that might hold me up during the checkout process. These things do work to my advantage but I mostly just tried not to over think it or get too anxious because I feel like it lessens my chances of getting what I want. 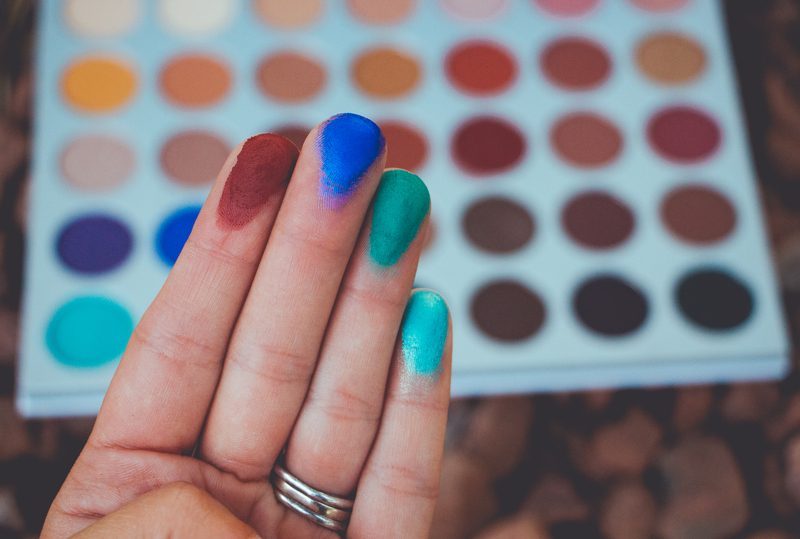 THIS IS WAY TOO MUCH EFFORT – FOR A MAKEUP PALETTE. MY GOD. Out of the 600 windows I had going, 3 of them managed to make it to the checkout queue successfully. Of those, one order miraculously went through with no time-outs or error messages etc. I talked through that part quick but in reality it was 59 minutes that went by before my order was successfully submitted with a confirmation number confirmed in my email. fifty-nine-minutes… I ended up having to go into a meeting around 8:30 and at that point had to sort of just leave everything to the magical makeup powers that be and somehow, it was in my mailbox a little less than two weeks later in perfect condition and not a single shadow broken. I can live with two weeks. As someone who travels at least once a month, this palette is going to be great for me. I have a backpack with a special padded pocket area and flat semi-thin things like this fit great in it. I was able to put it to the test last weekend and it did fine in terms of taking up space, and it definitely isn’t heavy. This is a palette that has the potential to meet all of my needs in one shot. Pretty much any look I would ever do, neutral or colorful, could be achieved with the color range provided. You get 35 eyeshadows for $38 dollars before tax + shipping AND they let you use a discount code that gives you 10% off. The only way this doesn’t equate to greatness is when you’re a resident outside of the U.S. and have to practically pay more in international shipping than the cost of the palette itself. I like that these are all new Morphe shades. Fresh colors that are unique to all the priors are always a plus. I haven’t used every single color on my eyelids yet but the ones that I have, which have been mostly matte shades, have all blended like butter. I have no complaints. Here is the one thing I am going to say about the subject and this palette y’all — I have seen some not-so-flattering reviews by some people in the YouTube community where the pigment is concerned and those reviews just don’t really seem in full alignment with how the colors actually swatch on the skin or show up on the eyes — I would know because…. I’ve been using it 🙃 Here is my thought: if you swipe your finger into a color only one time, and with the pressure of an infant, then you’re just inevitably going to end up with crappy shoddy swatches, because you just sampled the shadows like a chump. It’s so weird to watch those reviews, and it all just seems so forced to me — or as if those reviewers are attempting way too hard to intentionally make the product look bad. 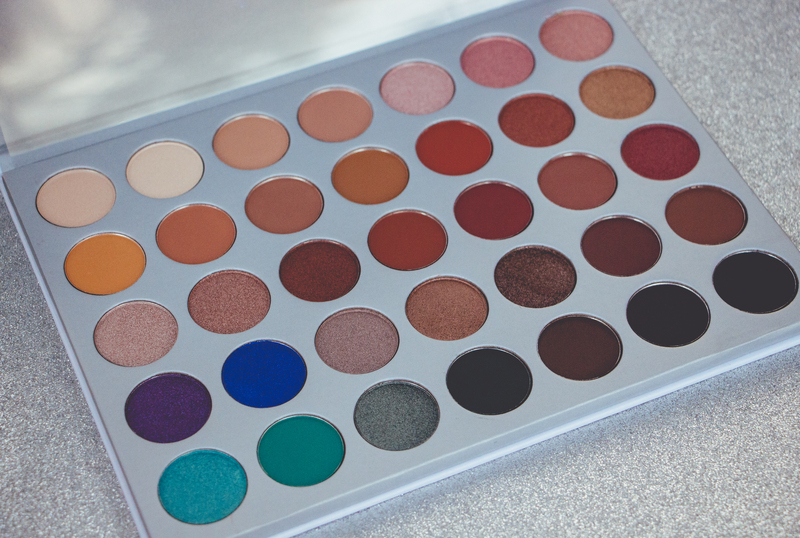 The product photo shown below was done using just my bare fingers (no shadow base, no fix +, no games) so anyone truly trying to argue that the palette lacks color intensity is trying entirely too hard to play either Jaclyn, Morphe, themselves, or all of the above and it is embarrassingly obvious, and weird haha. Here are the colors (L2R) Jacz, Twerk, Jada, and Pool Party shown on my bare fingers. 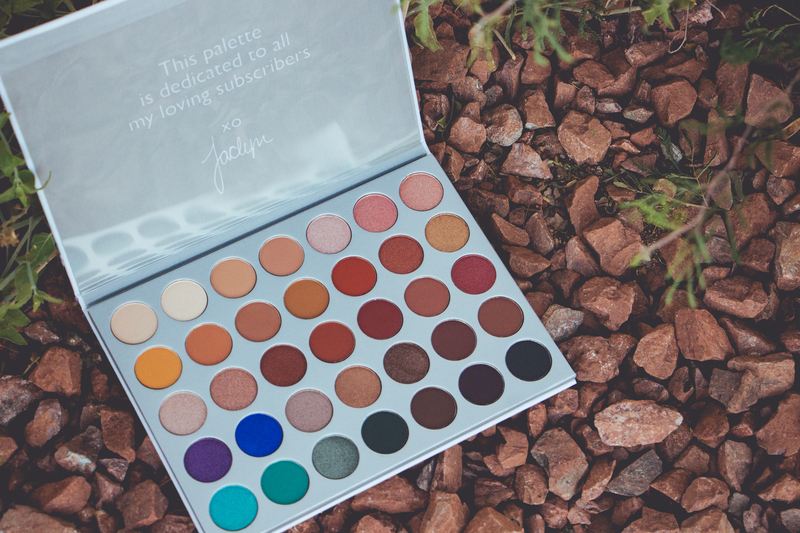 Anyone trying to argue that this palette isn’t pigmented is trying to play you, Jaclyn, Morphe, themselves, or all of the above lol. If I had to pick one thing I guess I don’t totally care for it’s that the palette is white, which means I will have it a mess in almost no time and then it won’t look as pretty. This is obviously trivial and it clearly didn’t deter me from buying it so it’s arguable it didn’t even need to be included in this post TBQH. Happy T U E S D A Y ! 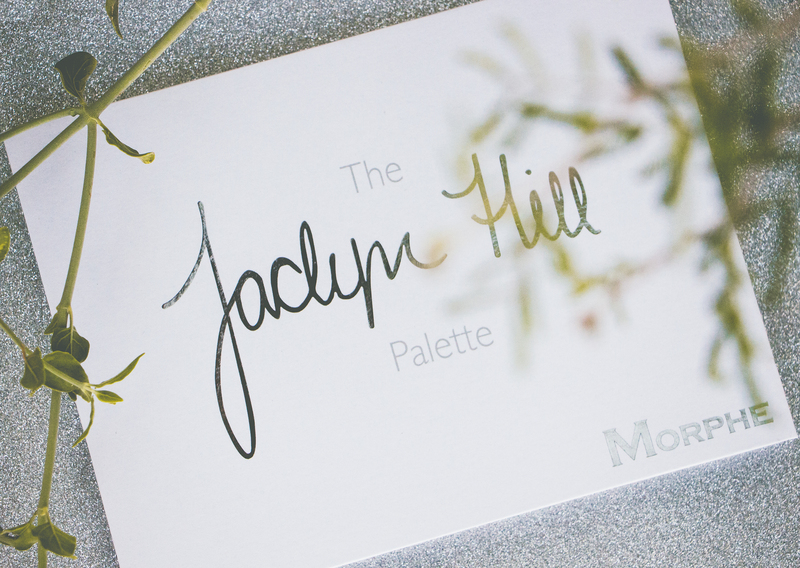 A couple of weeks ago I finally received the limited edition Jaclyn Hill Favorites Palette by Morphe Cosmetics and good grief Charlie Brown, I absolutely die. It’s pretty much been my go-to ever since I got it in the mail. 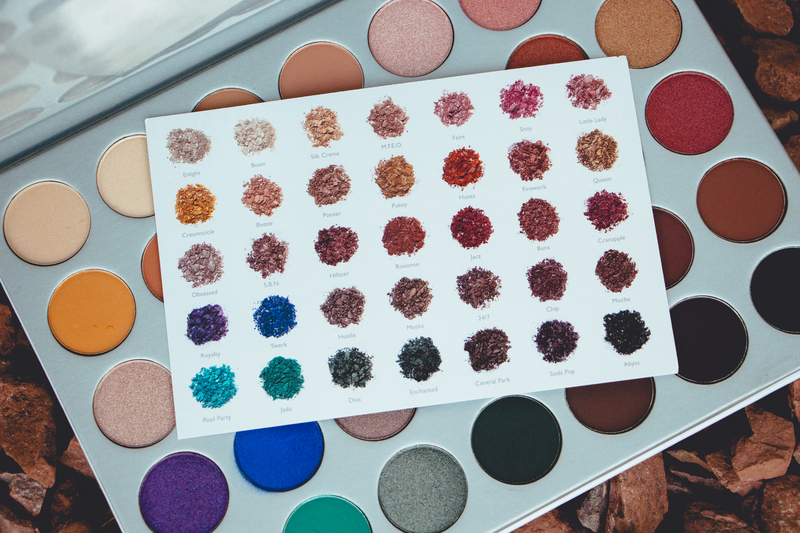 It has every color that I need to create any type of look except a black smokey eye (because there’s no black shadow) but other than that, this palette has everything I’d ever need on a day-to-day basis. And let’s not even talk about the fact that it contains twenty-eight of some of the most pigmented shadows of life! Okay I’m kidding about that last part, we should definitely talk about it….